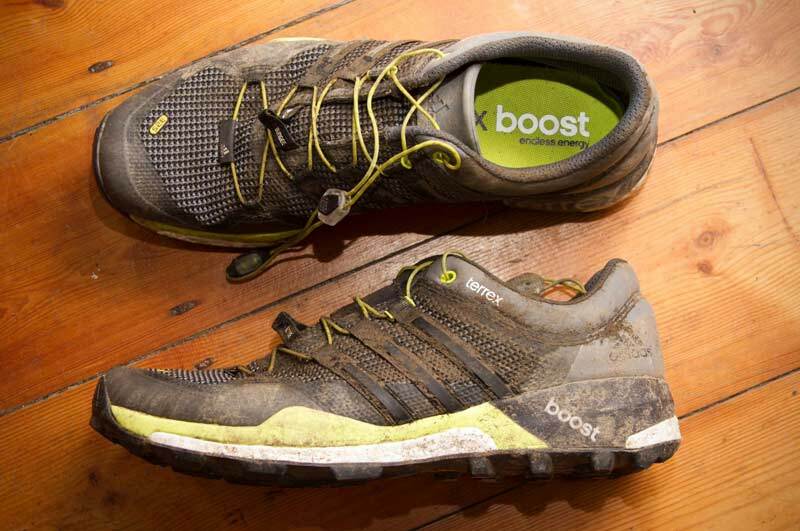 Stepping things up from the Kanadia Range of trail shoes, the TERREX Boost is the first to include Adidas’ Boost technology which has received much acclaim and praise on the road scene. With an aggressive outsole, constructed from a sticky Continental rubber compound, these are truly aimed at going off trail on the mountain. Sometimes in life rules are made to be broken, whether intentional or not. 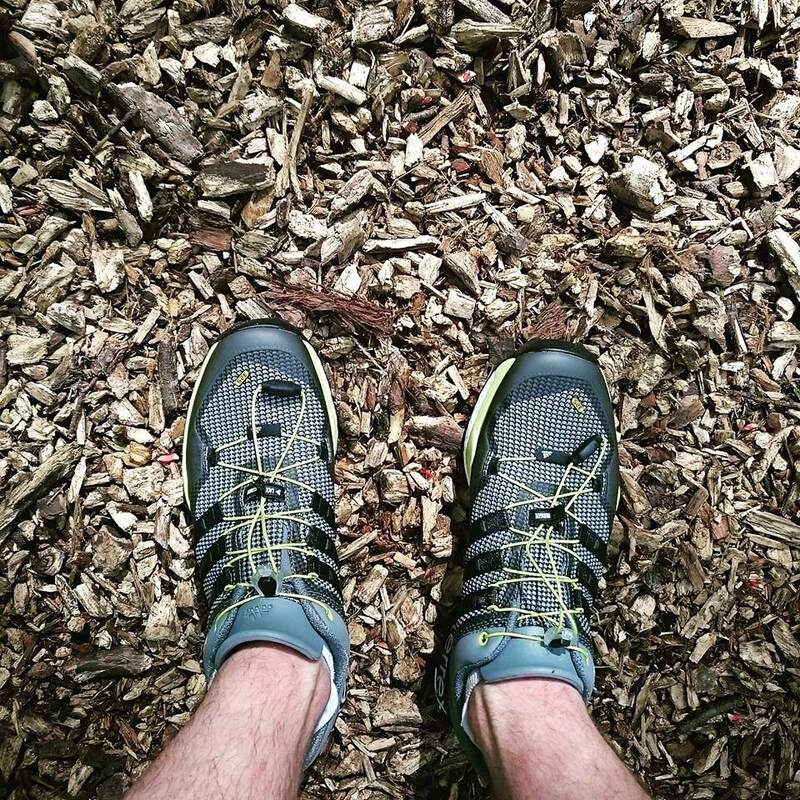 Having taking these for a short spin round the local park with my partner, I threw caution to the wind and gave them their first real outing at the Montane Howgills 26 mountain marathon.. For a detailed event report click here. Lets work from the ground up. The outsole. Constructed from a blend of Continental rubber, the German traction experts have managed to create a compound which is hard wearing and yet grippy, when other manufactures are often only able to achieve one of these properties. The tread pattern is reasonably aggressive, but not so deep that running on hard pack or roads is not an option, they are short and stable enough that you don’t feel the lugs twisting with every footstrike, looking to bite into the crud beneath. Despite rock, bog, sand, tarmac and what ever else I managed to run on, the wear is minimal. Continental are well known for their durability in tyres, so this should provide a good lifespan. Now, this is trickier to get your ahead around, as by the nature of running off road, the terrain saps energy with every step. 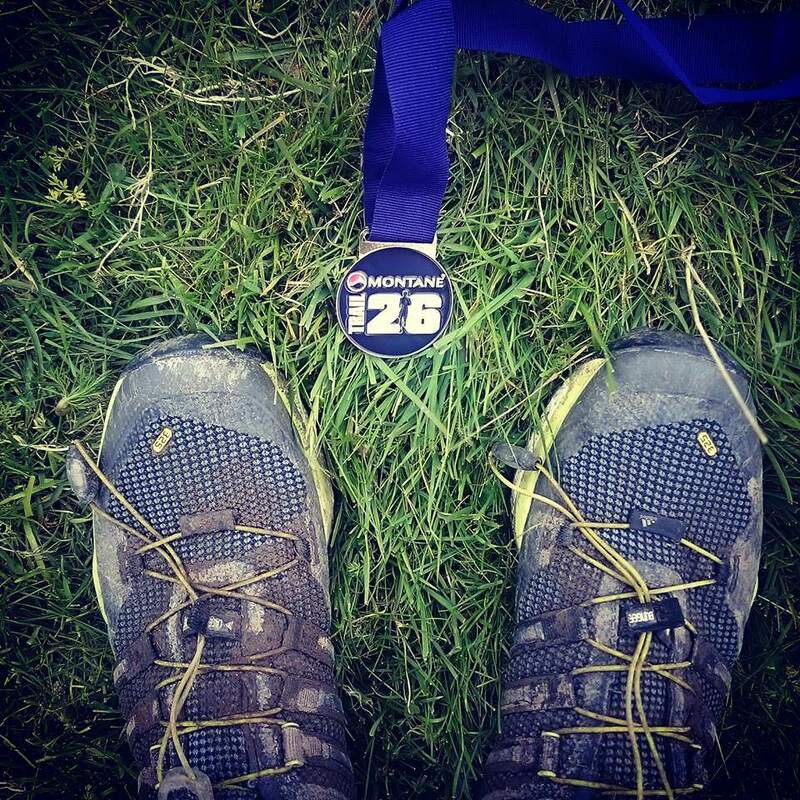 What I can say, is that after a full marathon, which left the shoes sodden, they didn’t feel heavy or cumbersome. This may be in part to the boost, providing that extra power transfer and forward momentum. 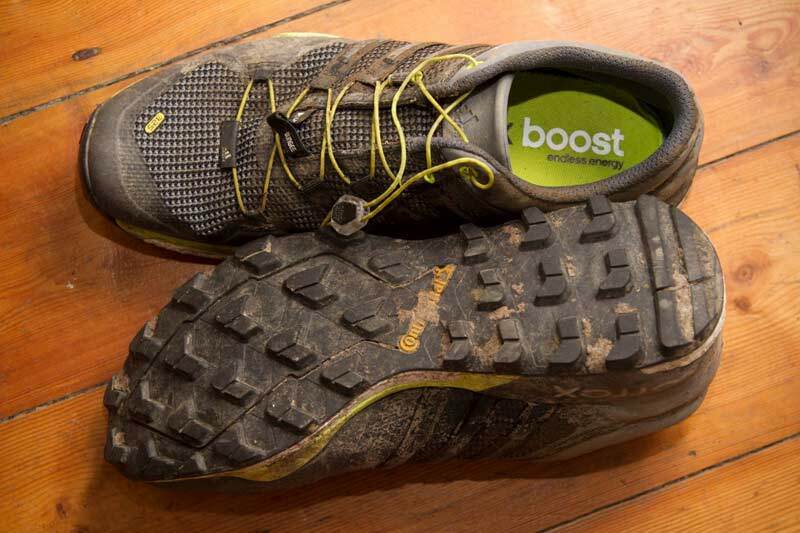 I can also report that though I was skeptical at first regarding their robustness, the Boost layer is in pretty much perfect condition, despite almost 40 miles over various terrain. Speedlace. The speed lacing style of laces is being used by many leading brands as the fit and ease of use increase with each generation. The laces provided a reasonably snug fit, however I would have liked it a little more secure on the top to lace holes. I found more heel slip then I would have liked, however this was only apparent on sharp climbs. The other issue was there is no where for them to be stored. Other notable brands incorporate a lace safe at the top of the tongue. The TERREX Boost opts for an elastic loop half way down the tongue, however this still leaves the lace reaching the toe box. 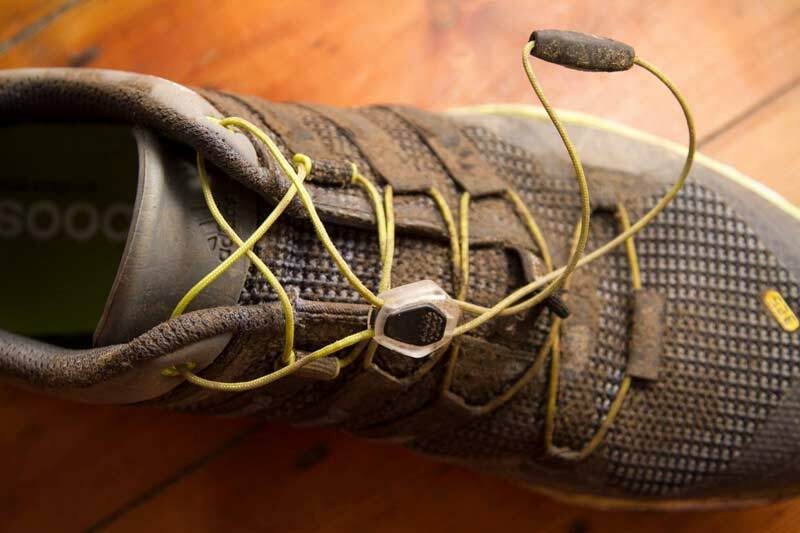 This could be an issue as the loop could catch on debris or if you have really shallow feet, catch on the lugs. It would be great to see this design revised on the second edition to counter this minor issue. Uppers – Lightweight and durable, constructed from stretch mesh upper with synthetic overlays for added durability and support. I had no breathability issues and although they did little to prevent water ingress, they allowed it to drain/evaporate, which as many runners will testify is the more important of the two. The rand on the tow box provides good protection from rocks and roots, as well as aiding durability. Rock Plate. Featuring a rock plate, I had no issues with anything sharp or pointy I encountered on the trail. I did not go out of my way to test this important feature (you’d be a fool too), but it worked as well if not better than others I have encountered. Ride them Cowboy! Now the ride, as much as the features individually are important, what crucial is how they work together. Soft, supportive and fast. The PRO-MODERATOR™ medial support device prevents overpronation. Although my initial impressions out the box were of something less flexible and heavier than others, the grip and durability has outweighed this. The are flexible enough when worn, but those who want something more flexible aren’t looking for the protection or long life the TERREX Boost can offer. The fit is good (I would just like it that bit tighter) and the grip is unparalleled. You can sprint around a 10K (they accompanied on my first 3rd Male result) as well as on a mountain marathon or ultra. I would put them towards the longer distances, and this is where the stability and boost will come into its own. 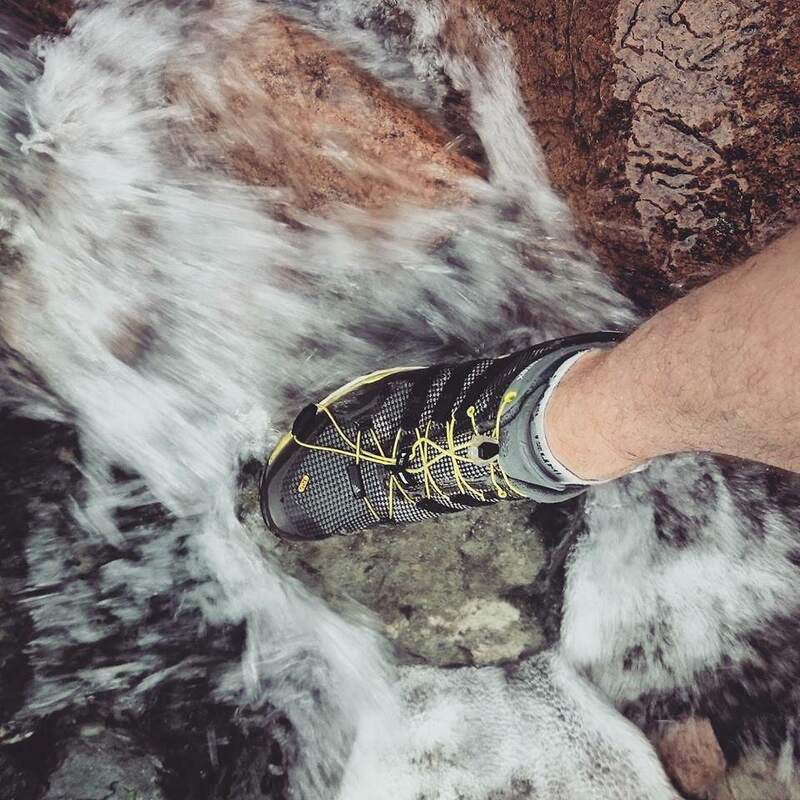 A great shoe with real potential for those looking to take on long races in mixed terrain, on and off trail. A couple of minor tweaks will take this from a great shoe to an exceptional, and that’s high praise. After all, nothing is perfect. Keep an eye out for the hashtag #LifeWithoutLimits this summer, for stories, images and videos of people using their boost technology on the trails and roads around the world.